Offshore wind continues its growing industrialisation in Belgium as MHI Vestas Offshore Wind and Esvagt today will announce the inauguration of the market’s newest state-of-the-art service operation vessel. The vessel, christened as ‘Esvagt Mercator’, will support 50 turbines at Nobelwind, Belgium’s newest offshore wind farm, and 55 turbines at Belwind 1. The 10-year lease agreement deepens the relationship between the two companies in the region and will provide the latest in service operation vessel technology. 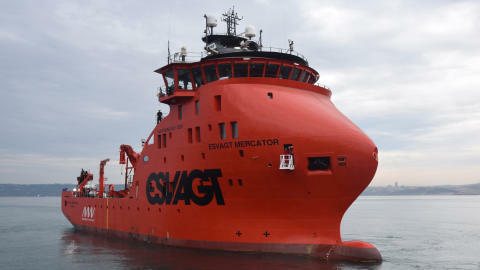 A vessel such as ‘Esvagt Mercator’ is a key driver in increasing service efficiency and turbine availability – essential issues for the burgeoning offshore wind industry. 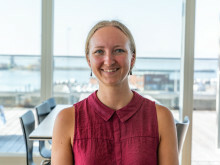 “ESVAGT is proud to continue our partnership with MHI Vestas in developing the most efficient and safe solutions in the offshore wind industry. As two market leaders, we are joined in our commitment to being innovative and bringing efficient service solutions to offshore wind farms”, said Søren Karas, Chief Commercial Officer at ESVAGT. The brand new, 58 metre ship, designed for highest efficiency including low fuel consumption, will operate from the Port of Oostende. It will be a home for 36 people for up to two weeks at sea. The ship is equipped with three safe transfer boats designed for safe and efficient transfer of personnel from the ‘Esvagt Mercator’ to the turbine. MHI Vestas has an operations and maintenance base in Oostende with 65 people in permanent employment. The ‘Esvagt Mercator’ is the latest development of ESVAGT’s pioneering SOV concept. “Each ESVAGT SOV is designed according to the customer’s needs and specifications. ESVAGT has serviced MHI Vestas Offshore Wind in the Belwind 1 offshore wind turbine farm with the ’Esvagt Supporter’ for six years. The new ‘Esvagt Mercator’ has been optimised to suit the exact requirements in this specific park”, says Kristian Ole Jakobsen, Chief Operating Officer at ESVAGT. “The ‘Esvagt Mercator’ shows the versatility of the SOV concept. This SOV is significantly smaller than the other SOVs already in operation, and it is equipped differently too. For example, transfers to the offshore wind turbines will be solely performed using Safe Transfer Boats; STBs. The vessel is equipped with two STB 7 and one larger STB 12”.